St. Elias Resort treats its guests to a beautiful location and exceptional accommodation and facilities. The area of Protaras is located on the eastern side of Cyprus and delivers a balance between the wonderful beaches and Mediterranean weather visitors travel to the island for as well as access to conveniences and attractions. 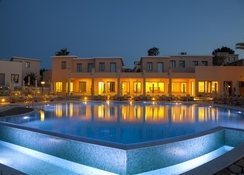 St. Elias Resort is approximately an hour’s drive from the nearest airport of Larnaca International. It’s also within an easy trip to one of the finest beaches across all of Cyprus, Sunset Beach. 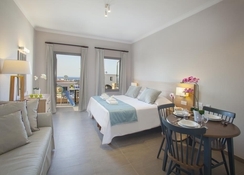 Rooms have a luxury feel and a pleasure to stay in with many giving guests magnificent views over the Mediterranean Sea. 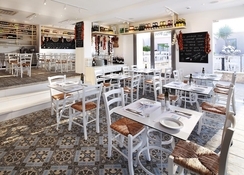 The hotel serves fine Mediterranean cuisine and international dishes from its restaurants with a variety of great places to wine and dine out in Protaras, so you’ll be bound to find something to your taste. Top attractions include the stunning Magic Dancing Waters Live show as well as the Ocean Aquarium, National Forest and of course those celebrated Cypriot beaches. The Protaras resort of St. Elias, 65km from Larnaca International Airport, a taxi journey will have you to your room and kicking off your holiday in around an hour. The beautiful Sunrise Beach is just under 2km away, hop in a taxi for a few minutes journey or take a lovely meander down to the coast in 20 minutes. 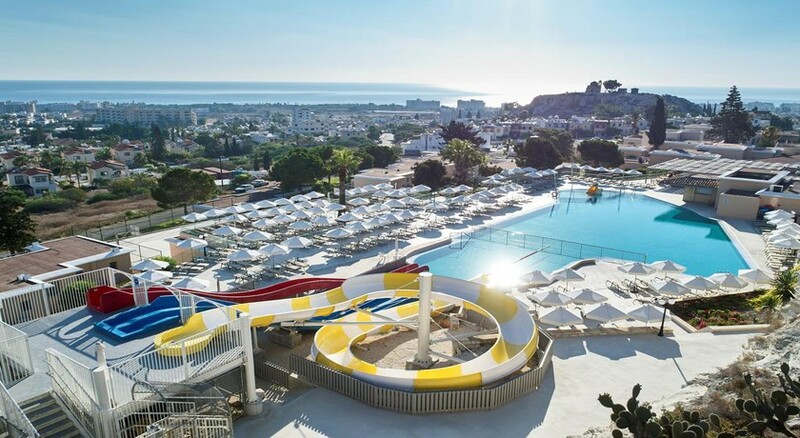 Family fun activities such as the Ocean Aquarium is 5km north of the resort, closer to the centre of Protaras and Star Leisure Mini Golf is an easy five-minute stroll. There are no lack of great restaurants surrounding St. Elias Resort with the main hub for shopping just 6km north-west. Tasteful décor and comfortable surrounds await you at a room in St. Elias Resort. All suites provide a spacious area to unwind in. Studios sleep up to three people whilst one-bedroom suites can sleep four people and two-bedrooms sleeping up to six people. All rooms have a contemporary design and are light and airy. You’ll find the basic amenities for a relaxing stay across all room types, these include orthopaedic beds, private bathroom, T.V. and tea and coffee making facilities and much more. Moreover, the welcome veranda or terrace makes the ideal place to stick to your own private space whilst making the most of the glorious Cypriot weather. On offer for your relaxation at St. Elias Resort are two outdoor freshwater swimming pools a dedicated children’s pool, lush gardens and a spa with sauna, steam room and treatment rooms. Great family entertainment can be found at the Star Leisure Mini Golf a short walk away, Ocean Aquarium and the Magic Dancing Waters Live Show that’s a thrill for both adults and children. A recommended day out relaxing in Cape Greco National Forest can be had whether that’s you choose to cycle or walk it.